Refer A Friend, Family Members, Co-Worker, Social Media Friends, Church Members, Employer, Neighbors, Etc. We love when our clients, friends, family and church members spread the word to their neighbors, family members, friends, social media friends, an employer, church members, etc. 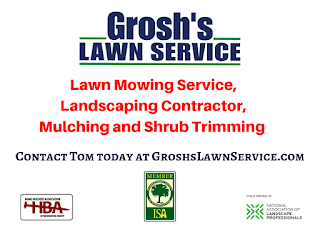 who would love a beautiful looking landscape and / or professional lawn mowing services, lawn care for there home, office, vacation property, 2nd home, commercial property, etc. 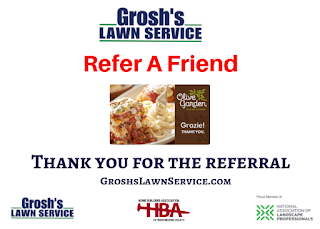 Refer them to Grosh’s Lawn Service and when they sign up for one or more of our services we will send you a $25.00 Olive Garden gift card to go out to eat on Grosh’s Lawn Service. It is our way of saying Thank You for the referral. 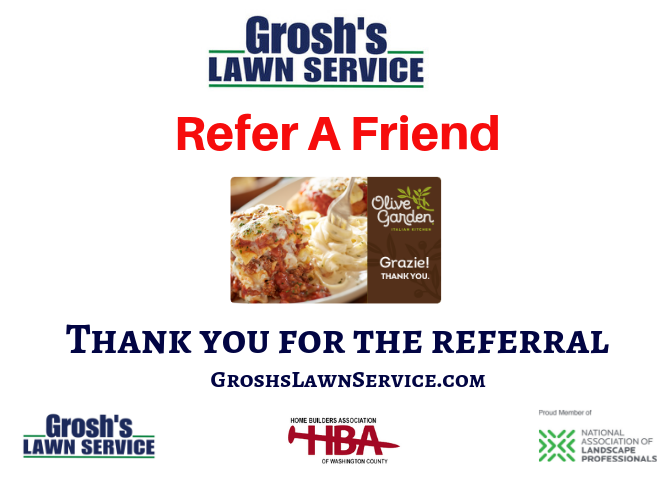 No limit on the number of referrals or $25.00 Olive Garden gift cards, one $25.00 Olive Garden gift card for each new referral that signs up for our services. 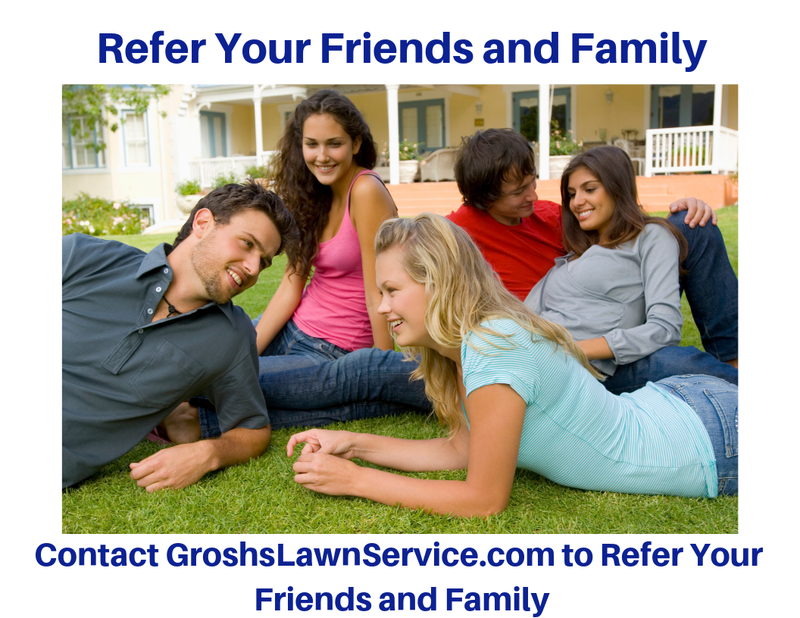 Referrals must own property in our service area and must be a new client to Grosh’s Lawn Service. Please make sure you have the referral’s permission to give out there contact information. Please take a moment and complete the requested information so we can ensure that we have the correct information for your referral. Information provided will not be used or shared with no other person or business. Thank you for your referral from all of us here at Grosh’s Lawn Service.